Moreover, DANOBAT will take advantage of this opportunity to share its digital value proposition, integrated by its own technological developments based on industry 4.0 concepts, with a view to advancing in the construction of smart manufacturing spaces, fitted with interconnected equipment and with the capacity for autonomous operation. 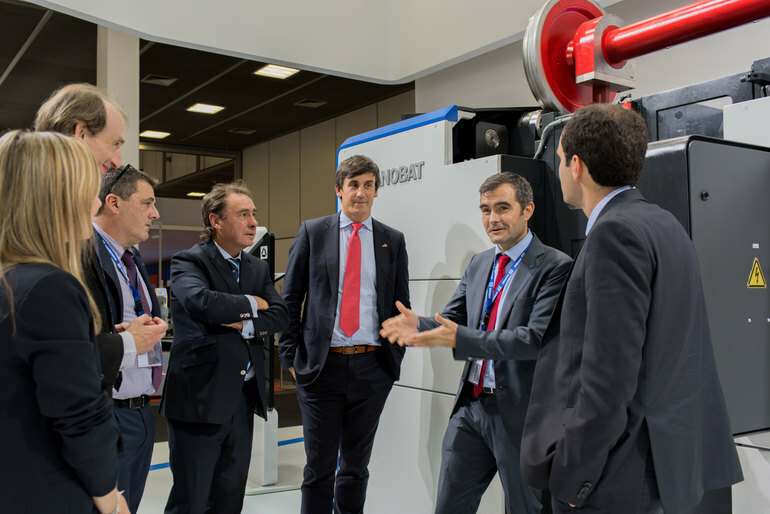 A result of its continued commitment to R&D applied to manufacturing and the digital industry, this year it is to present “Adaptive Control” technology developed by DANOBAT and highlights of the Smart Machining Software. A solution capable of automatically adapting to the lathe’s cutting conditions in order to preserve the integrity of the equipment, the cutting tools and, ultimately, the process. The new range of underfloor lathes was designed for easy maintenance and installation, thus ensuring reduced machine operating costs and increasing the underfloor lathe’s availability. Last of all, the company is to present its offer of services aimed at providing smart machine management, adding value to the equipment, improving maintenance strategies and optimising performance and production. The INNOTRANS is the leading international fair in the industry of transport engineering and is held every two years in Berlin. It is backed up by a large number of projects of reference and over 220 transportation technology companies. InnoTrans has therefore established itself as the international stage for Railway Technology.